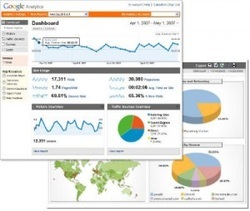 Internet Marketing Analytics! Analyze THIS! Most businesses generate a lot of data, but relatively few use it effectively to create competitive advantage and enable high performance.Besides planning and implementing your online success, we will analyze and tweak your online web & social performance. Our monthly reports and suggestions will help your business stay on point with exactly what changes need to take place to stay current with the trends in your industry. Most businesses generate a lot of data, but relatively few use it effectively to create competitive advantage and enable high performance. ​gets the unique, skilled work that it deserves.